The Art Event at Lipscomb was held in their brand new facility on campus and the artists and patrons enjoyed a wonderful light filled roomy venue for the 2018 fundraiser. Thank you Lipscomb volunteers for your professional and friendly treatment of your artists and all the hard work that goes into a weekend such as this. Here is just one of the 9 paintings that found new homes at the show this year. 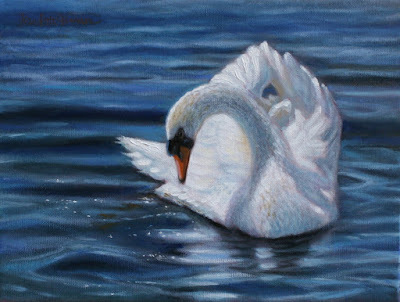 "Swanlake" 9 x 12 oil on canvas. SOLD.